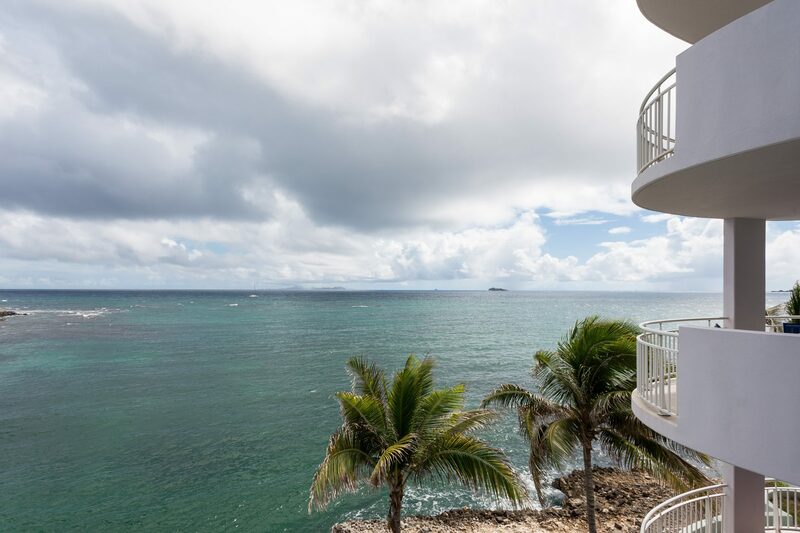 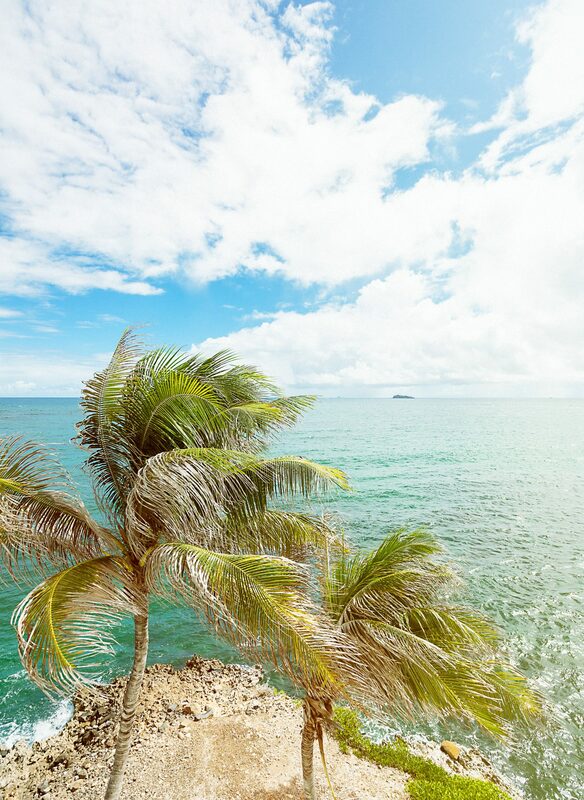 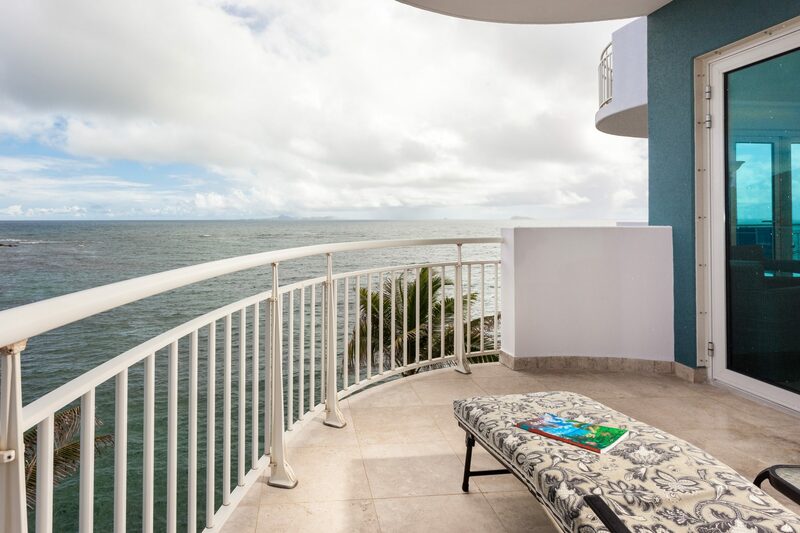 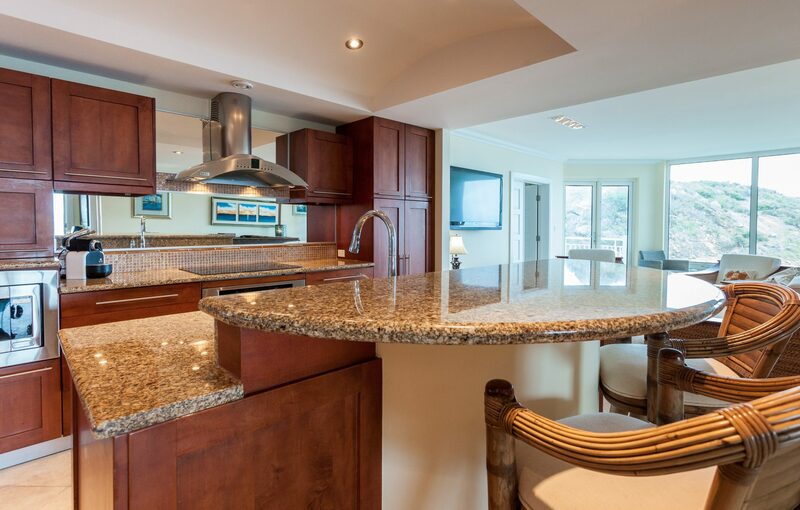 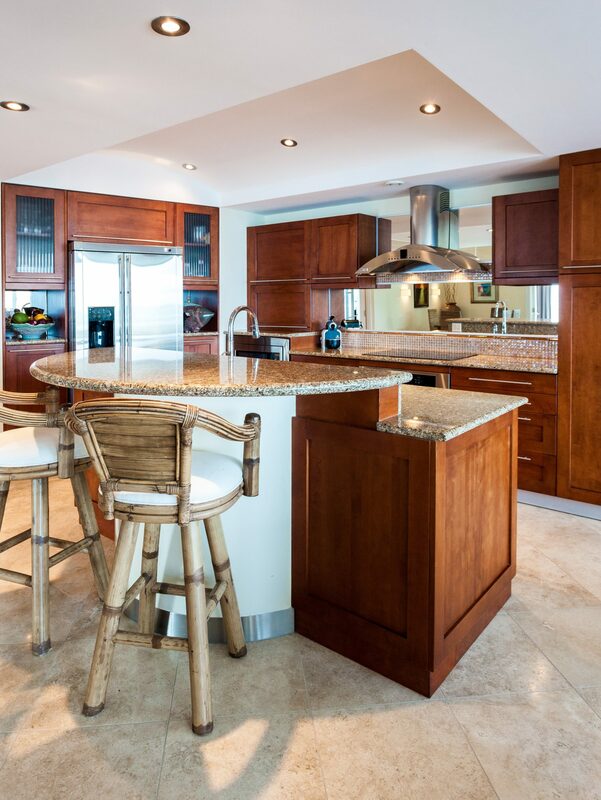 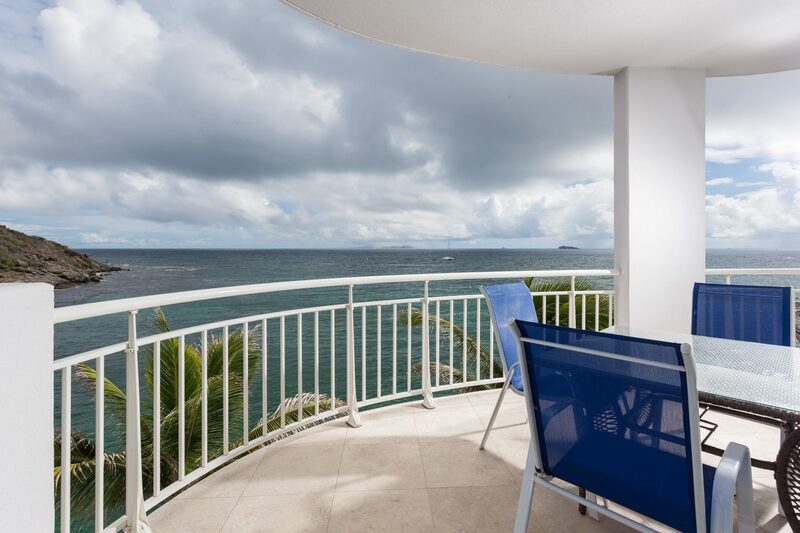 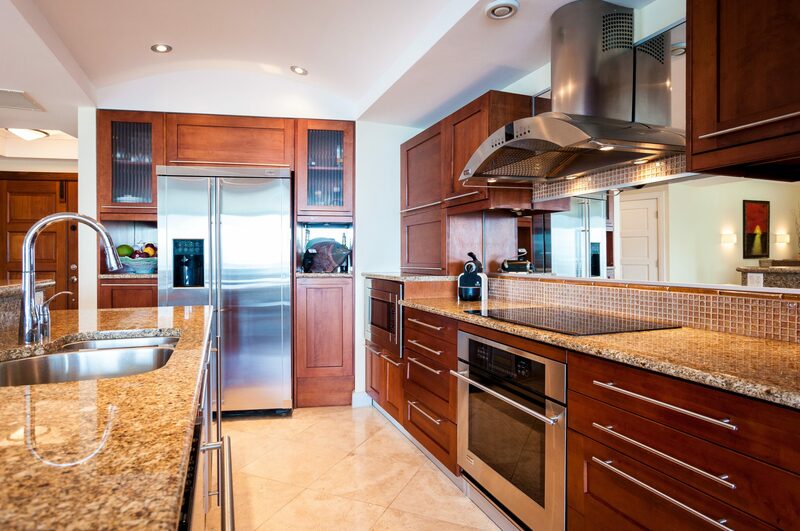 Lighthouse 3B is a luxury condominium located on the 3rd floor of The Lighthouse featuring beautiful views of both the ocean and Oyster Pond Marina. 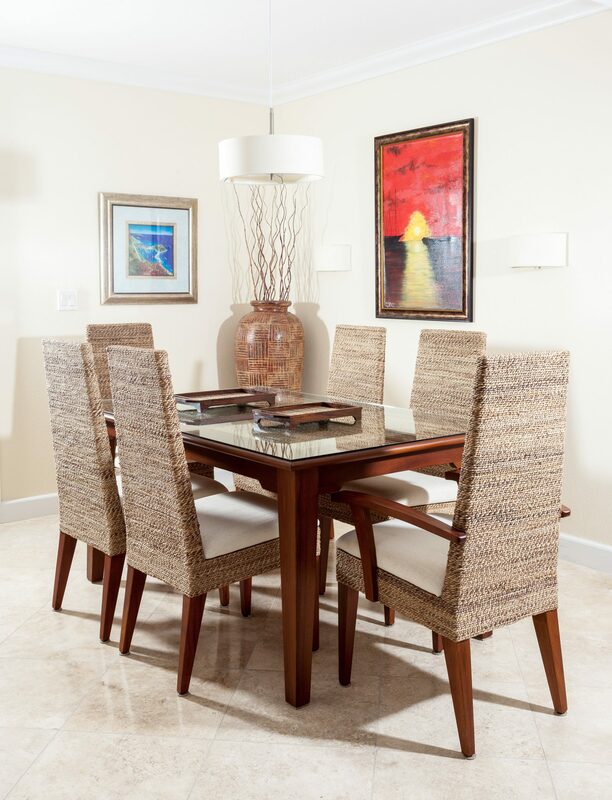 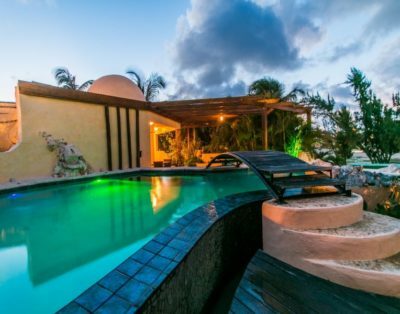 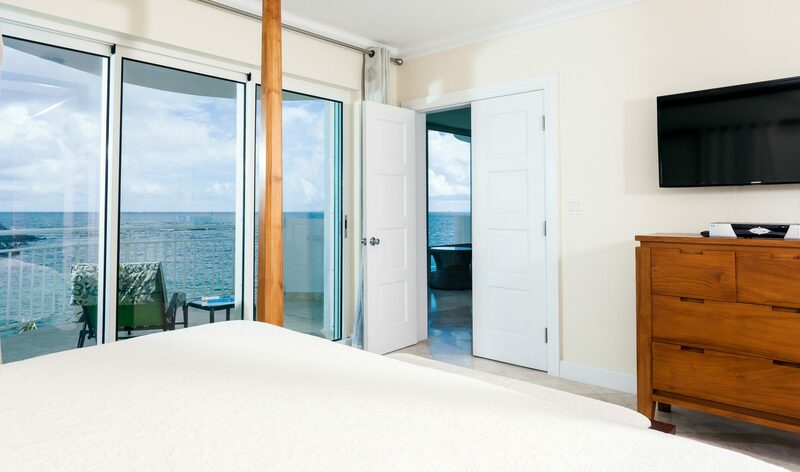 A comfortable modern floor plan is nestled between the island’s mile long Dawn Beach and Oyster Pond. 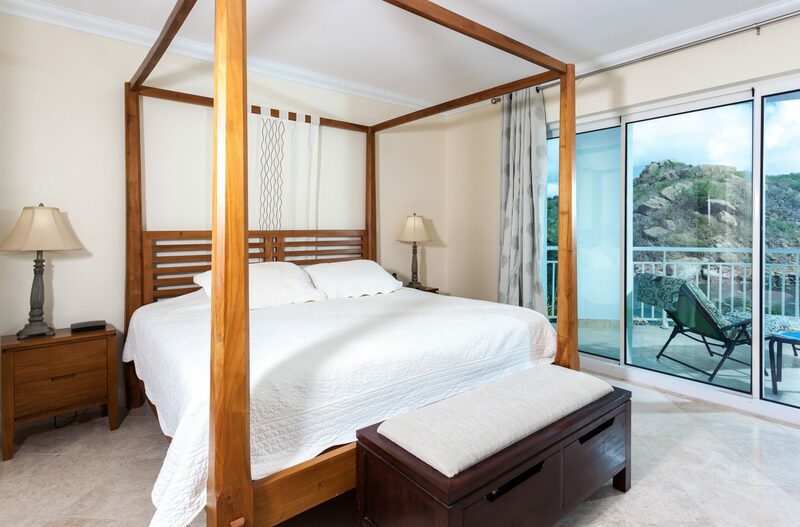 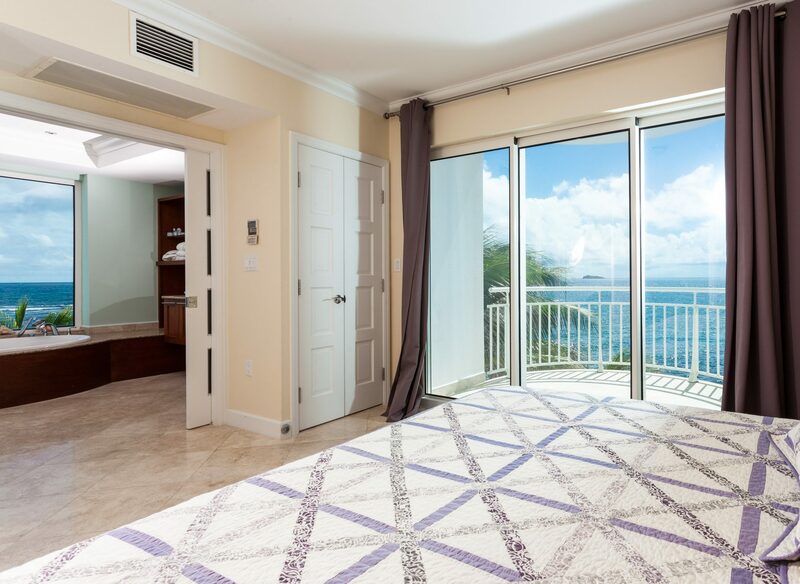 Master Bedroom 1 and 2 – The Master Bedrooms offer king size beds, spacious closet, air conditioning, flat screen TV with digital cable service and wonderful views from the private balcony. 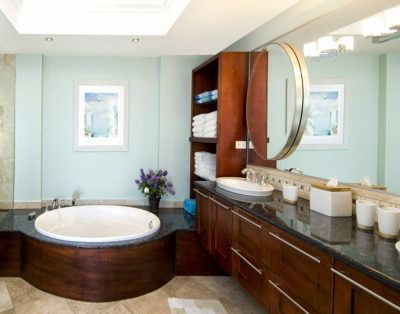 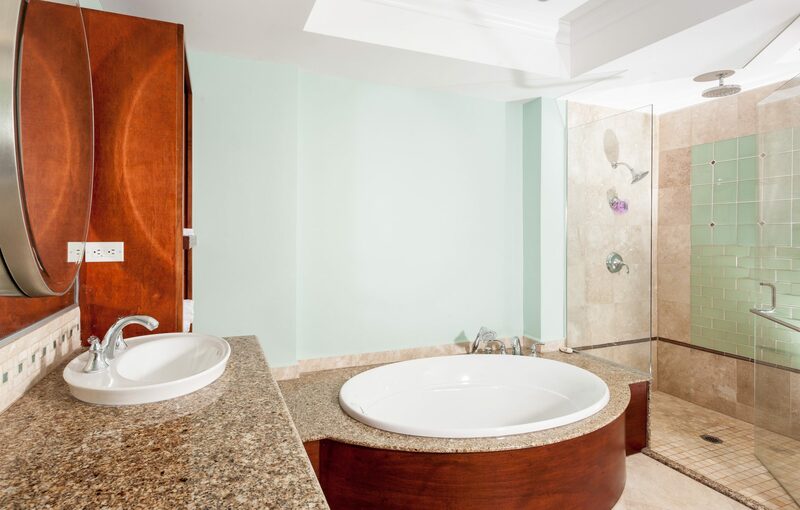 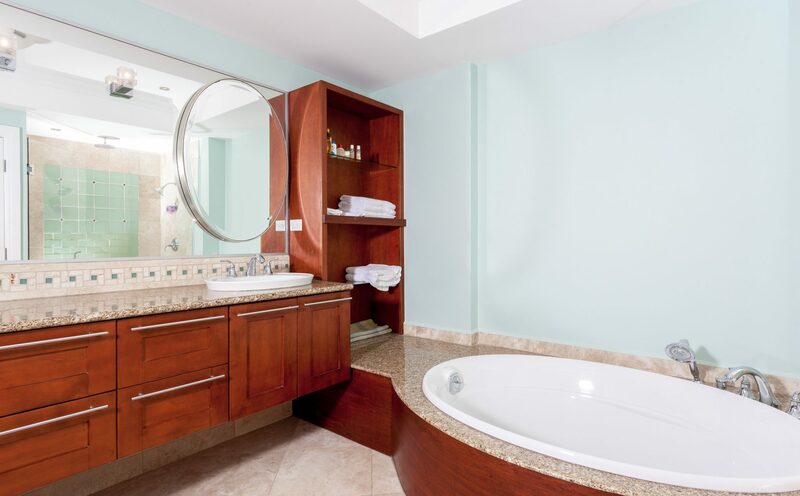 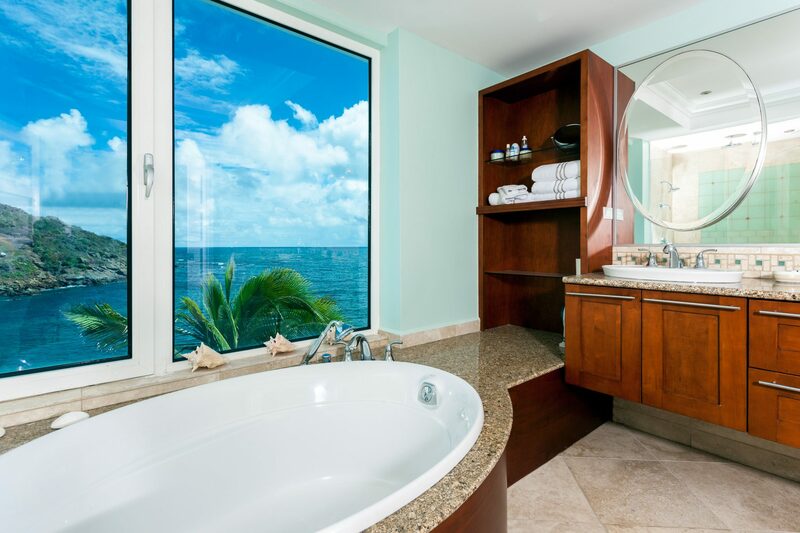 The fully appointed in-suite master bathroom offers a two person soaking tub, double bowl sinks, granite finished shower and frameless glass enclosures. 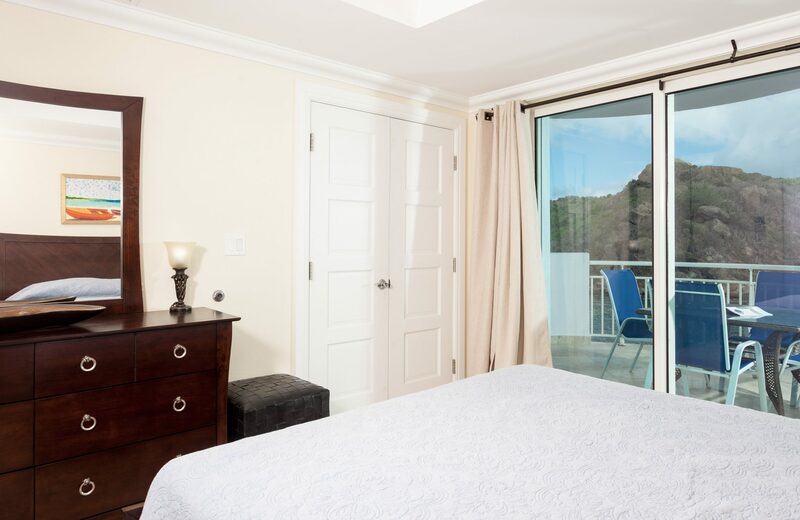 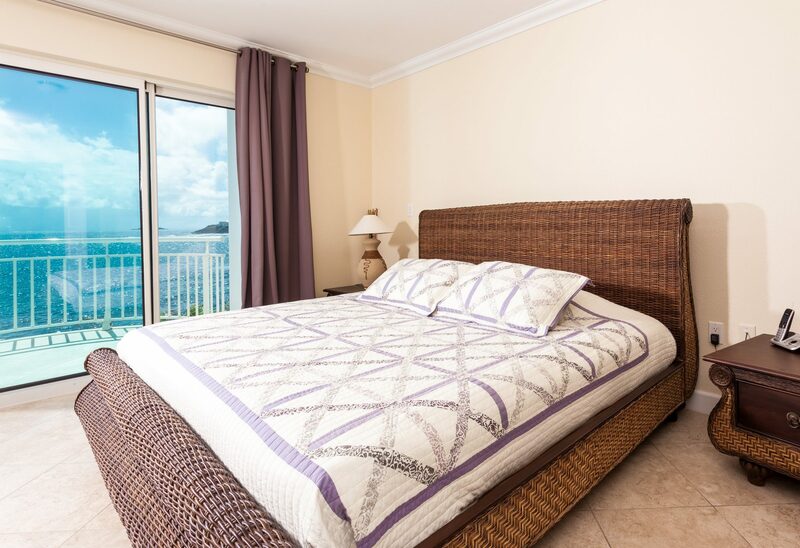 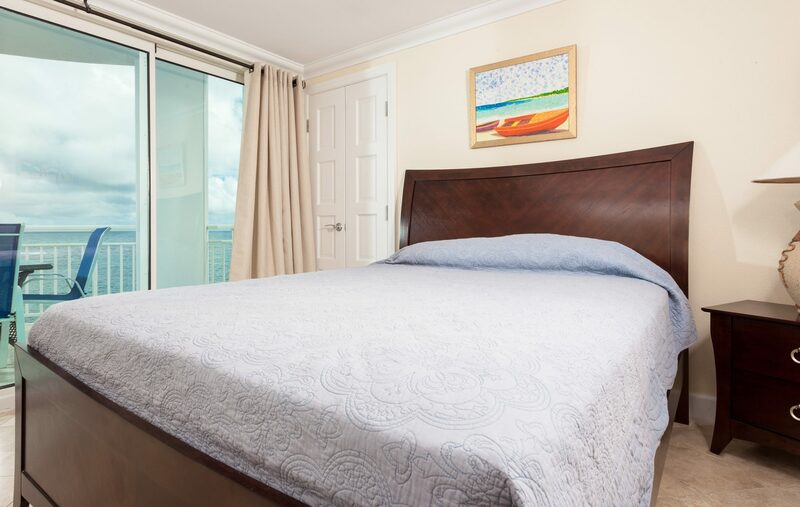 Bedroom 3 – The guest room offers a queen size bed, spacious closet, air conditioning, flat screen TV with wonderful views from the private balcony. 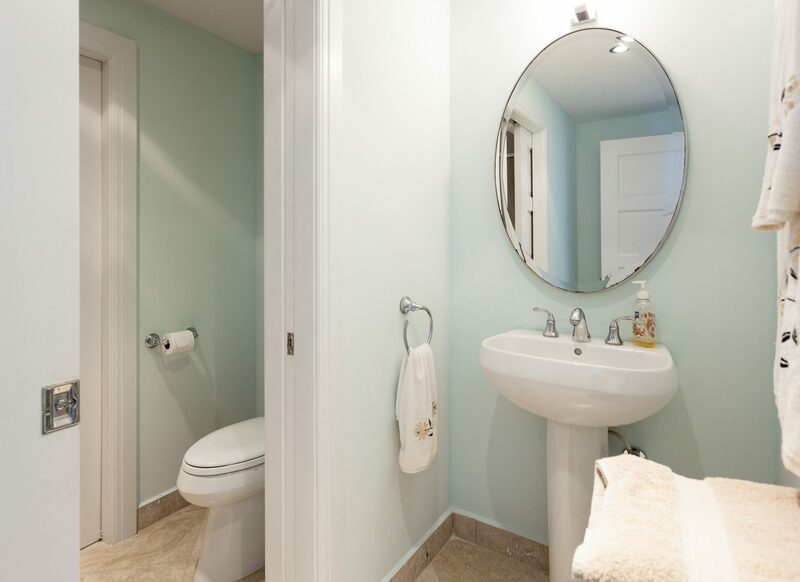 The en-suite bathroom offers a private shower, single bowl sink & water closet. 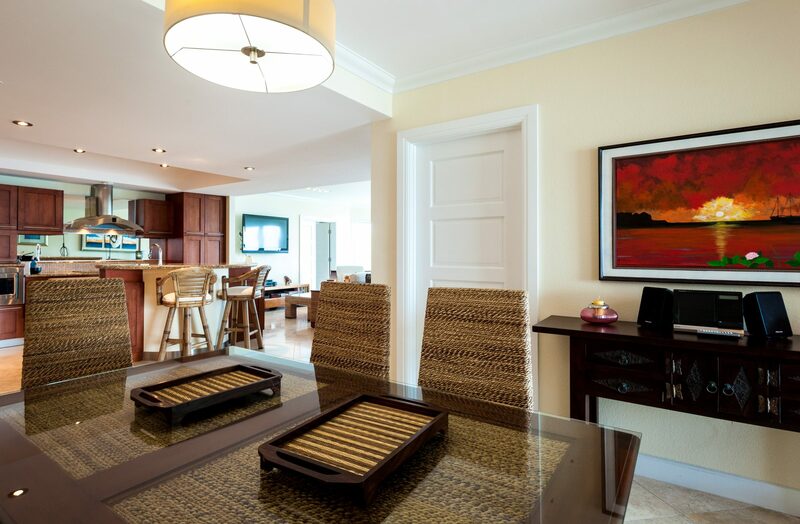 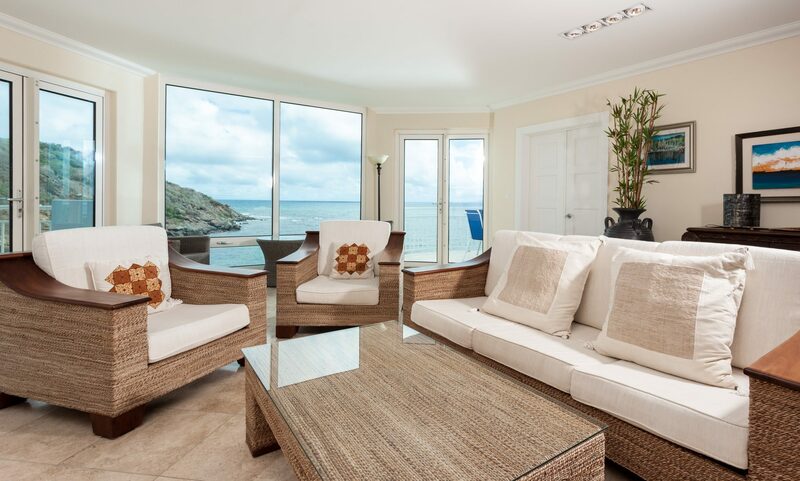 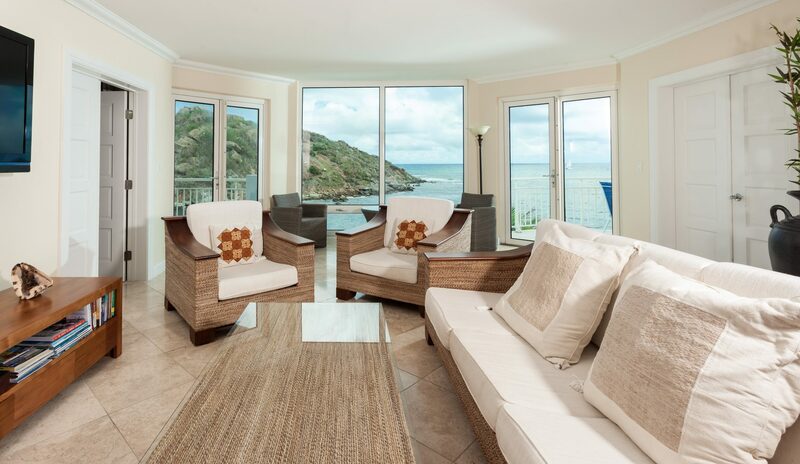 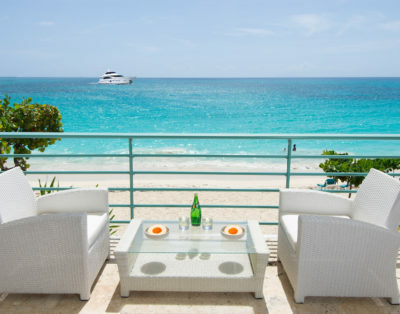 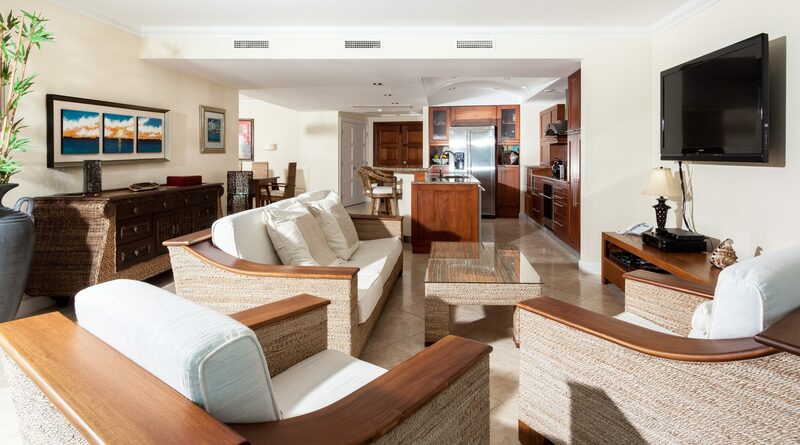 The living room is beautifully furnished and offers beautiful views of the ocean and marina. 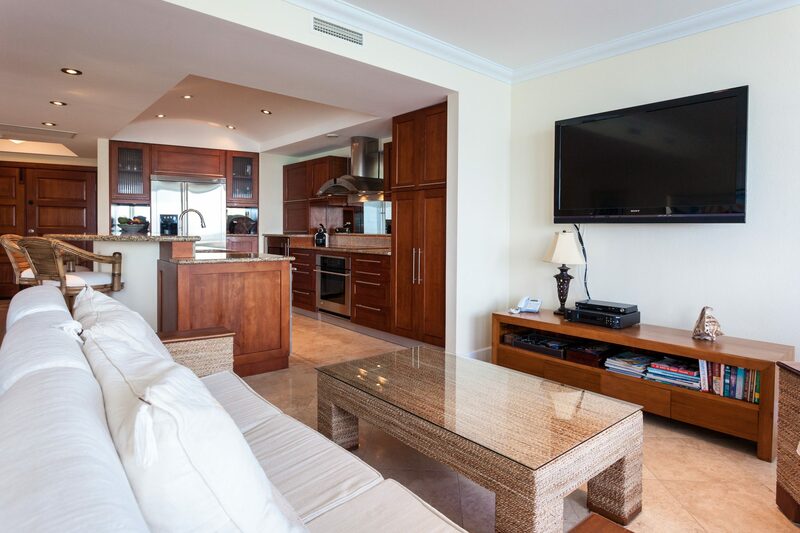 The entertainment center in the living room offers a flat screen TV with digital cable service, stereo receiver, DVD & CD player. 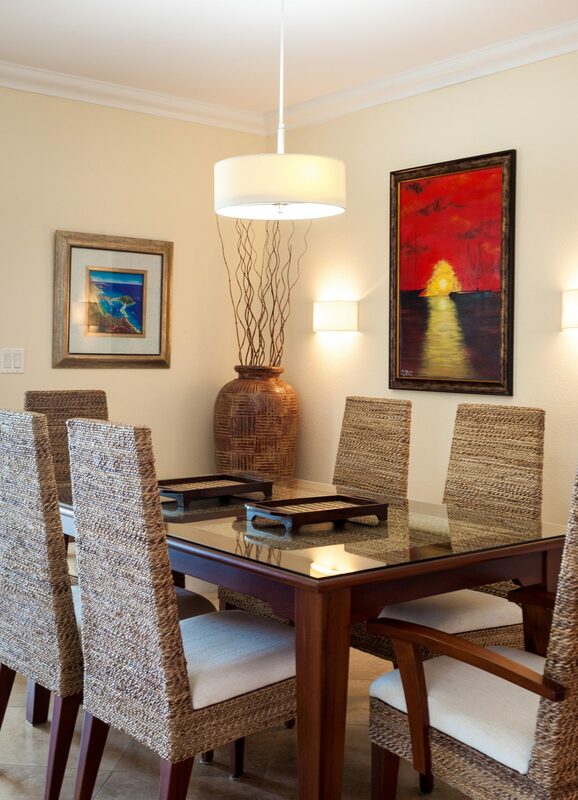 The dining area offers seating for six persons.